ITS BY GRACE WE LIVE. It's difficult to understand how one can pass through so much but is still strong. This is only possible because of grace. Your life and testimony dad makes me to have faith that I can conquer anything when God is on my side. You are a true testimony dad. We don't need to fear even when we pass through the valley of death our rock and our shield that is our lord Jesus christ will rescue us. Rev.Michael Musango is one of the best teachers of the word of God.I have sat under him the last 8 years and i have tested of his anointed. When the world tuned against him in the last 2 years he never thought of quitting the ministry. He has been betrayed even by his close associates but still remained standing. I haven't seen such a great Gods servant. Rev. Michael Musango is my pastor. He is a teacher of the word and through his powerful power packed sermons many have received instant healing and direction in life me included. He is a general of faith and so are his followers who have stood put and by his side despite all what he has gone through in the recent past. He stood by us when the world came crumbling down on us! God bless you papa. In total submission we serve God under him with all humility to the glory of God. 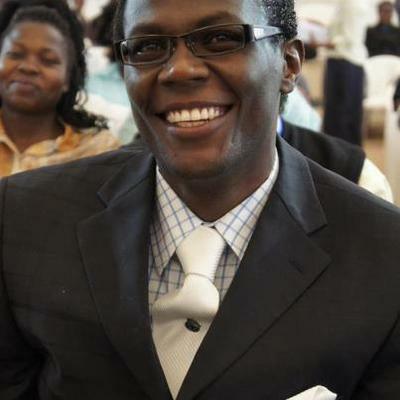 Rev Michael Musango, you are a gift to our generation and may God establish you forever. You have been my spiritual father and mentor since 2012.Let God preserve you and satisfy you with long life to preach the gospel. Daddy, despite the challenges of spreading the gospel of Christ, keep going and focused. These challenges will build you ,make you stronger and cause you to shine in the midst of the darkest situation. Always remember that you were called for the rising, shining, salvation and blessing of many to the Glory Of God himself. Be encouraged Man of God. I must say Reverend Musango is one among many who stand out in the area of spiritual mentor-ship. His depth in understanding and teaching the word of God has particularly been a blessing to me and family. I would encourage you pastor to continue nurturing that which God has put in you because you are transforming many lives. You are giving real meaning to spiritualism in a world that is increasingly becoming difficult to exercises true Godliness.God bless you. Please keep going and do not relent. I have gone to many churches,heard many preachers preach but Rev.michael Musango is a special case,he is chosen, gifted ,anointed and called by GOD HIMSELF. I m only three months old at house of grace Athi river and when i miss a service i fell bad because i know what the man of God has delivered, a true message from God and how he delivery's word by word from the Bible is amazing.My son told me, mum if you guys are looking for a church me nimefika. Athi river members God loves you so much He has given you the best Pastor,always give thanks to God for Rev.Michael and his family, Mum you are blessed to be beside a very powerful man of God take good care of him. Papa Michael Musango is a kind of Gods servant that every Gods child would want to serve under. He is a gifted powerful teacher of the WORD. Under his leadership the church is experiencing a powerful spiritual growth, social and economic growth. May God use him more to reach out to as many lost sheep as possible. Rev Michael is my teacher, mentor and my life coach. The gift in me mounts higher under his leadership and teachings. I know the voice of my shepherd. I have sat under the anointing of pastor Michael for two years and I must say, he is indeed used of God. He is fearless when it comes to the word of Jehovah God and he tells it like it is. I enjoy seeing the manifestation of the Holy spirit of God every time the man of God steps onto the pulpit.It blesses my heart to fellowship under such intense anointing. His humility and readiness to answer any question that you ask him is special.This is a gentleman who truly knows that it is not about him but only about Jesus. May Jehovah keep increasing you sir! You bless the hearts of many.A teacher equipped with eloquence, understanding and mastery of Gods word.A prayer worrier, Keep the fire burning. In him we celebrate a dispensation; he is our Icon, Hero, Pastor, Father, Teacher, Mentor and Life Coach. A living legend unashamed to shine the face of Christ to all Nations, vision driven and propelled with compassion to make all men see and come to the Glorious life of the gospel. For over 15 years of anointed teaching ministry Rev. Michael has helped equip thousands of people: men, women & children alike with the word of God building them up to lead victorious, indomitable and objective lives. He has traversed continents delivering qualitative and life changing revelation teachings of the Word of God, creating lasting impacts in the lives of many. His ministry also is a great blessing to many through TV, Radio and Webcasts on the Internet. We Love you Pastor Sir! Rev. Musango is also my pastor for the last one year at HOG -Athiriver .His understanding of the bible is exemplary and admirable. He is truly a man after God's heart and a blessing to the church/body of Christ in this era . He is fearless and elaborate in his teaching that is based from the Bible. A man of action and a no nonsense one, a firm believer in Christ and one that needs not convince you that you need Christ in your life. He is a living example of the change that Christ brings in us. Bravo all the way pastor. 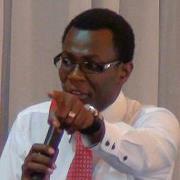 Pastor Mike Musango, is my pastor. He is gifted in teaching the word of God.whenever he preaches,i usually say in my heart that,I wish all the people in the world were in church just to hear from Him. He is a great blessing to me and my family.